Mom Tip: Do you have old cast iron pans piled in your cupboards? Did you know that you can actually clean them and make them appear almost new again? 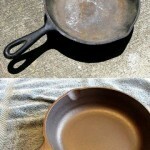 Julia from I Believe I Can Fry gives step by step how to clean and condition cast iron on her blog. 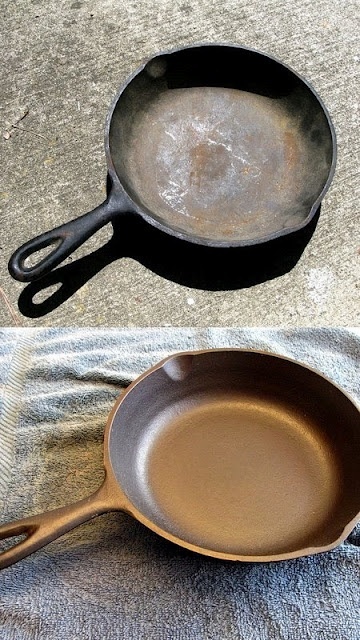 Click Here to get her how to steps and clean up those old cast iron pans you have or might find at a Garage sale or thrift store.